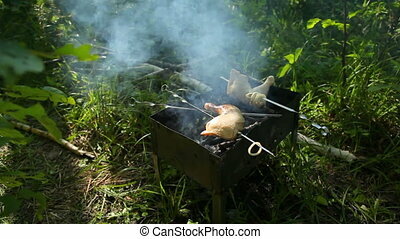 Meat on skewers and firewood in brazier outdoors. 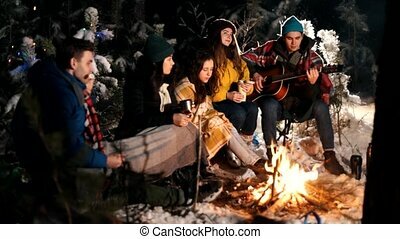 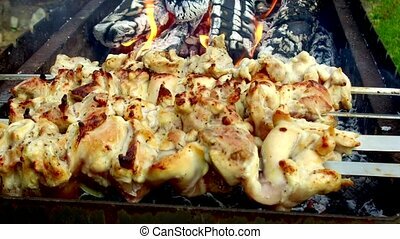 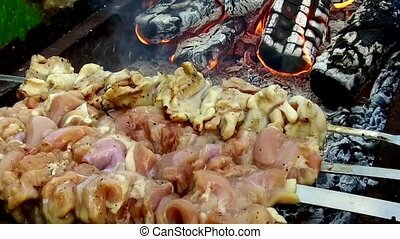 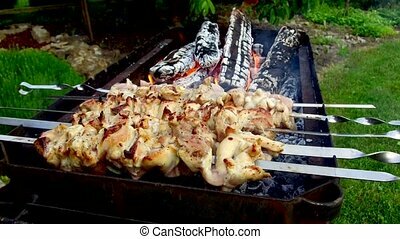 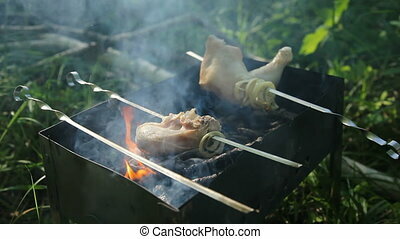 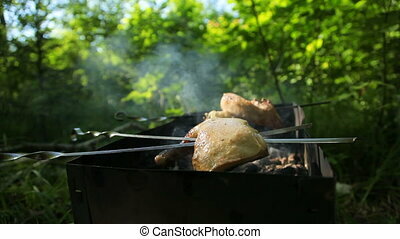 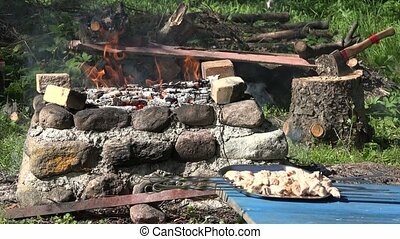 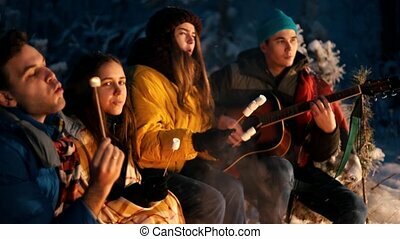 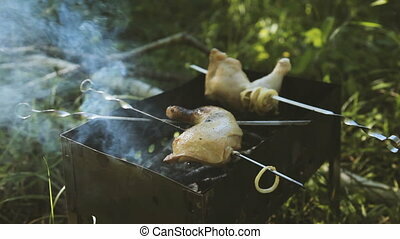 Cooking, barbecue and food concept - raw shashlik meat roasting on skewers and firewood in brazier outdoors. 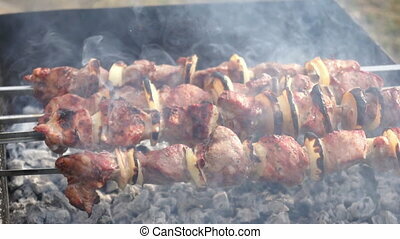 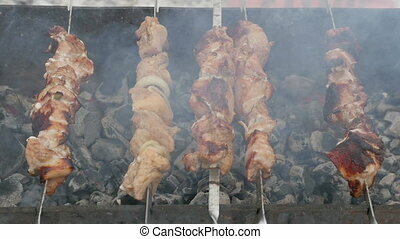 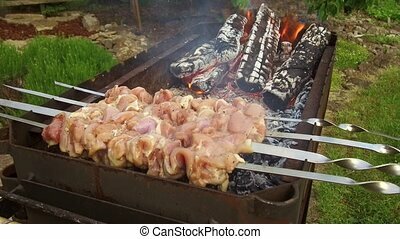 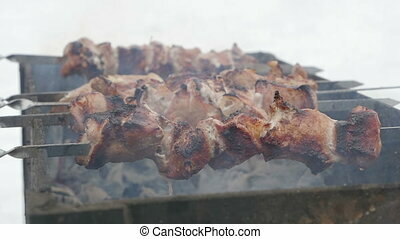 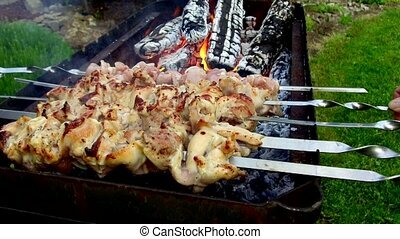 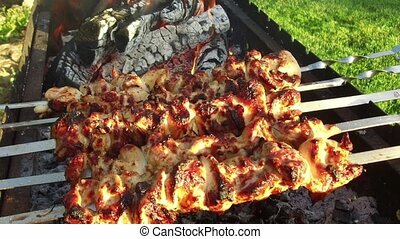 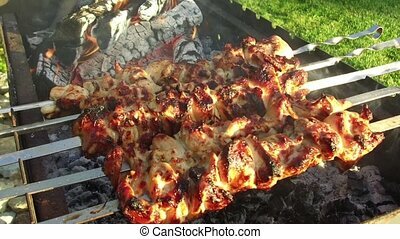 Meat on the skewers on the grill. 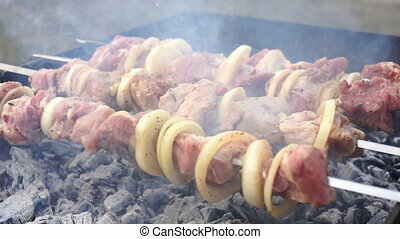 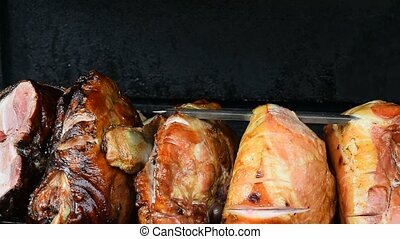 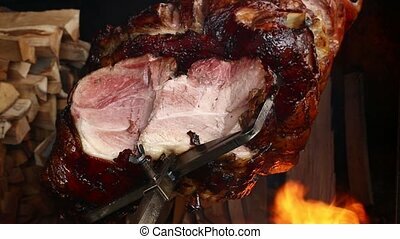 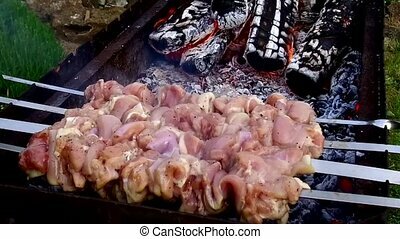 Placing servings of barbecue. 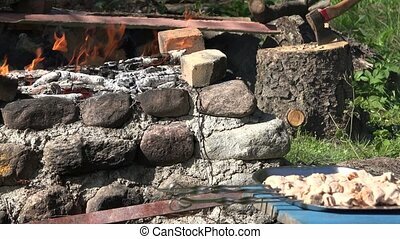 Burning wood and coal in the brazier.